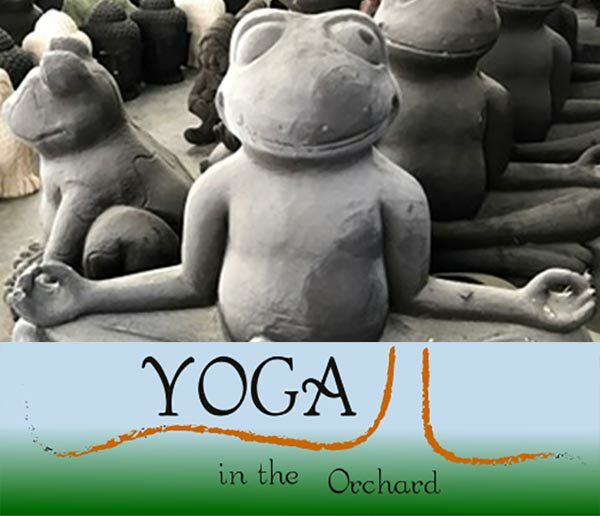 It's that time of year again where we have yoga in the orchard! It is starting this Sunday, June 4th, and will be held every Sunday through the end of September. Join Wendy Yanke from the Indigo Yoga Center - www.indigoyogacenter.org - as your instructor. Classes begin at 10:30 AM weather permitting and the cost is $10. And, in other farm news, organic plants are now available for sale. There is a nice variety of heirloom tomatoes and peppers! We have been busy unpacking two new containers. One is from Nepal, and the other is from Thailand. 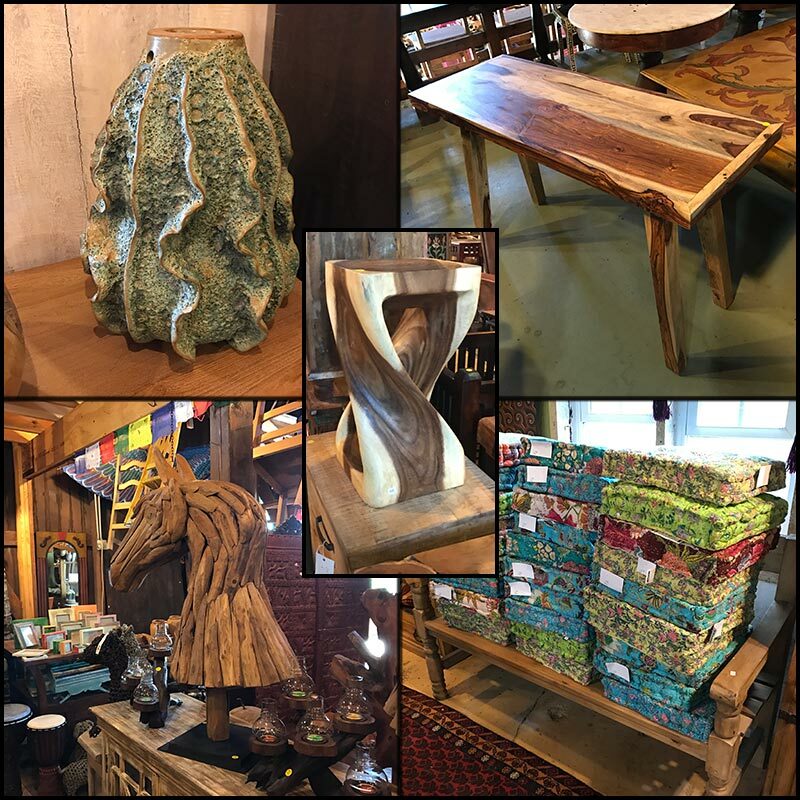 There is too much new stuff to mention, so please call or email if you have any specific questions on items. Ginger is sending me off to India this week to specifically shop for more furniture and carpets. It's only 114° there right now so wish me luck!